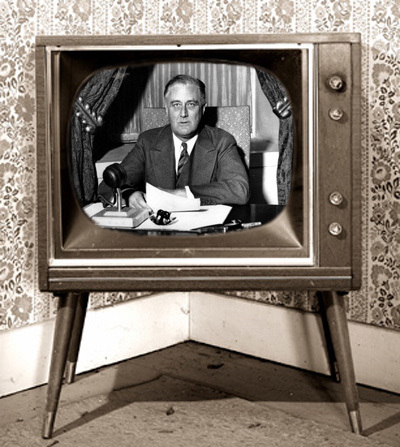 In April of 1939, Franklin D. Roosevelt became the first president of the United States to appear on television. 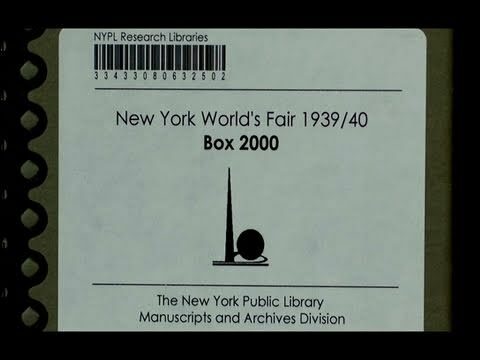 The setting was the 1939 World's Fair in New York. The appearance was broadcast to a handful of TV sets in the New York area. FDR had already mastered the medium of his time--radio. His "fireside chats" broadcast across the nation soothed Americans troubled by the hard times of the Great Depression. Radio was a perfect fit for the eloquent Roosevelt, who would have had a much more difficult time hiding the fact that he was confined to a wheelchair in the television age. The outbreak of World War II temporarily halted the development of television, and it would be more than a decade before the new medium became popular. 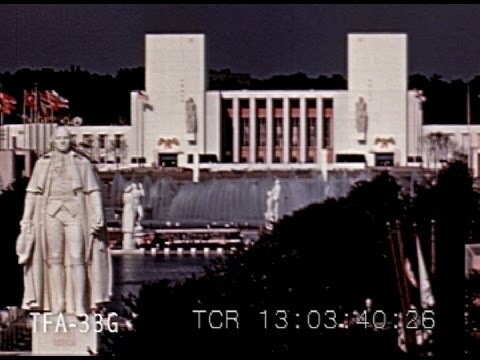 The first president to appear on black & white television was Franklin Delano Roosevelt on April 30, 1939 at the opening ceremonies for the World's Fair. But, Harry S. Truman was the first president to give an address from the White House on October 5, 1947. The first president on color television was Dwight D. Eisenhower on June 6, 1955, when he appeared at his 40th class reunion at the U.S. military academy at West Point.